Our collection of games like SWTOR (Star Wars: The Old Republic) features other free MMO role playing games with science fiction settings. 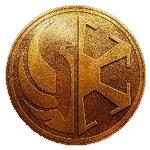 Star Wars: The Old Republic (SWTOR) is one of the few games in the MMO genre that has opted for a science fiction theme rather than a fantasy one. It’s been online since 2011 and grew to a seven figure subscription count within only a few days. Since that time the game has changed into a mixture of paid and free options allowing all player budgets to play the game. Set in a Star Wars themed universe the game splits player into the Galactic Republic and the Sith Empire. The game is unique in that while players may side with one of these factions their own personal morality may be separate. The game also tries to separate itself from other MMO options by letting players choose their paths that will open and close entire story lines and companions depending on choices that the player makes. The games like SWTOR here focus on other games that have science fiction settings or have ties to larger franchises. These games will let you explore, quest and fight across a whole galaxy of locations.